Multiculturalism–Divisive Vanity Or Healthy Pluralism? America is and always has been a multicultural society open to all, a welcoming shelter for those escaping civil strife, oppression, and hard times. Of course such hospitality was based on national economic self-interest. We needed the labor to build railroads, man factory machines, pick fruit, and construct urban infrastructure. No one in the early 20th century gave a second thought to the values of diversity per se – the cultural by-products of immigration. If anything we were chary, suspicious, and not a little concerned about the effects of such unmitigated cultural pluralism. Jefferson and other Founding Fathers understood that the influx of African slaves – uneducated, uncivilized in the ways of modern Western life, and increasingly resentful of enslavement – would sooner rather than later disrupt American society. It would be better, Jefferson considered, to find a convenient sanctuary for American slaves before their eventual manumission or universal freedom. He considered a return to Africa, home in the Caribbean among other destinations. Anything would be better than to loose hundreds of thousands of primitively foreign souls, necessarily dependent on public welfare, considered savage and uneducable, and potentially dangerous onto free American soil. Jefferson and his colleagues were not so much concerned about the disruptive effects of European immigrants. They, after all, were Christian and of the same Judeo-Christian cultural heritage as those first settlers, and they came motivated by noble ambitions and governed by respected values of freedom, enterprise, discipline, and faith. Hamilton struck a warning note. He was suspicious of populist democracy, especially the disparate, untamed variety that was the inevitable product of a take-all policy of immigration. It would be imperative, he argued, to have some temperate, considered, and reflective body between the masses and federal decision-makers. He had to compromise, and the Senate was the result; but the hesitation to commit to a fully participatory, inclusive, populist democracy remained. The wave of Chinese immigrants who provided the labor to build the Western sections of the railroad was of lesser concern; and these academic worries about disruptive multiculturalism faded as the rush to complete a transcontinental rail system increased. By the middle of the 19th century with the Industrial Revolution well underway, most leaders and common folk were happy to have strong arms, whatever their color or ethnic origin. The earlier concerns of Jefferson concerning free slaves were dismissed. Slavery and African primitivism was put into a separate and unique category. Despite dramatic cultural differences between the Confucian, Buddhist East and new America, the Chinese at least were grounded in similar philosophical principles. Honor, work, respect, enterprise, and faith were similar; and had nothing to do whatsoever with African totemism and the savagery of the jungle. The Chinese were given a cultural bye – not a broad or particularly tolerant one, but at least a reluctant advisory welcome to America. Turn-of-the-century New York was a cultural free-for-all. The ‘natives’ battled the Irish newcomers for turf and authority, and the city was divided among Irish cops and politicians, Italian bosses, and ‘native’ entrepreneurs. It was an uneasy but accommodating stand-off. A competitive agreement. The cops and Irish judges were paid off by the Italians who were allowed to build their local business empires. The old English aristocrats expanded their preferential influence to New York, Park Avenue, and Wall Street; and the Scandinavians and Germans plowed, harvested, and marketed. No one cared about the inherent value of multiculturalism – the mix of cultures simply happened, conditioned by economic forces. If anything, the Irish, Italians, and Jews hated each other because they were all vying for the same spoils. The pie could only be cut so many ways, and each ethnic group wanted the biggest share. These socio-cultural rivalries lasted well into the mid-Twentieth Century. Everyone was labeled by ‘nationality’ – wops, hebes, hunkies , and spics were no longer fighting for turf and power. That had been decided decades earlier; but animosities die hard, and ethnic resentments continued. The Fifties was the first decade of ethnic identity – not in celebration as was to happen many years later, but as a convenient marker of status and privilege. The WASPs of New England owned the towns, the mills of Bedford, New Britain, and Duxbury; the Irish ran the cities; and the Italians muscled their way into wealth and property. The story of America was no different from any other pluralistic society or culture. Individual groups fought each other for money, power, influence, and social status. The battles were local but with national repercussions. The Italians controlled the unions, the Irish, City Hall, and the Jews business and real estate. Given the political complexion of the party in power, its representatives either went after Mafioso extra-legal influence, Irish public corruption, or Jewish monetary manipulation., There was no celebration of diversity; only a dog-eat-dog struggle among competing ethnic groups. Times have changed. Ethnic, cultural, and racial diversity is an honorific not a code for the rules of engagement. Since overt ethnic rivalries have been sorted out – Irish, Jewish, and Italian mobs have moved on, disbanded in favor of individual, purely secular enterprise – multiculturalism has evolved from a contentious concept to an idealistic one. Societies that are pluralistic, multicultural, and inclusive have a higher value than those which still adhere to antiquated notions of historical cultural identity. Somehow the swords of ethnic rivalry have been turned into the plowshares of collaboration, cooperation, and respectful unity. The lie to the ideal is false functionality. Now that the socio-ethnic and cultural wars have largely ended – white Europeans still in power, captains of industry and Wall Street, and firmly seated in Congress; and minorities still struggling for a voice and a seat – there are those who, in an alliance of protest, have anointed the socially disadvantaged and culturally marginalized as modern heroes. If blacks and Latinos have yet to take power, they have the force of cultural determinism behind them. The age of white, European supremacy ipso facto has come to an end. However, such idealistic mooning is not enough. White, upwardly mobile middle class Americans with the weight of two millennia of European culture, an American ethos of Puritanical ethics, and the historical imperative of settlers in a New World, will always have the upper hand. This has nothing to do with white supremacy, genetic destiny,or historical imperative. Simply the way things are. Which is all to say that engineered multiculturalism is a vanity, an idealistic fantasy, and an ignorant dream. Multiculturalism, in and of itself has no value, no meaning, no higher order of being. There is no particular value of obverse cultures rubbing elbows. Nothing evolutionary to be gained by sharing experiences of patriarchy, family dinners, mean streets, or high teas. Minority cultures will always vie for authority, preeminence and a greater share of the pie. Winner may not take all, but perhaps a bit more than before. Whether at the national, regional, family, or individual level, ethnicities will always vie for influence, power, and authority. A marriage between an Iranian and an American can never be mutual, completely collaborative, and consensual. The Persian will always and quite naturally assume authority over the newborn child – an assumption based on history, religion, and the legacy of 5000 years of civilization. The Turk who dates her origins to the Seljuks of the pre-Christian era and the 14th century Ottomans cannot but assume a certain cultural superiority over the American newcomer who has deliberately given up his ancient European roots. Where, then, is the multicultural compromise? Given todays’ ethos of relativism, majority cultural values are ceteris paribus unequal. An American husband, married to a Persian, must grant ipso facto Persian cultural values if not supremacy. Why? Why should he grant cultural rights of child-rearing to his Iranian wife? Swaddling, herbal infusions, 40 days seclusion, family inoculations, rights of uncles and first-born cousins? 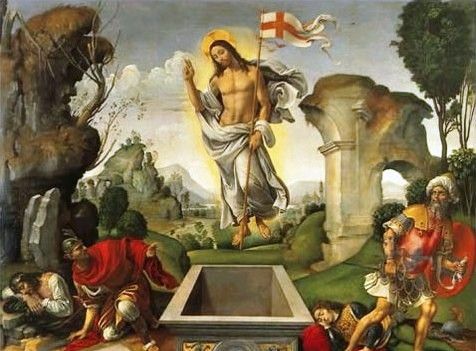 Why should Easter eggs, Christmas trees, Advent calendars, Velasquez and Giotto give way to Middle Eastern rites? What does a white, middle class American freshman gain from studying with an inner city black kid? Or a Kurd, Brahmin, or Rohinga? Culture does not rub off, especially the most intimate and profound values. Shwarma, baba ghanouj, vegetarian thali and sete pesce are irrelevant. The essence of John 1:1, the Vedas (141:2), and 2 Kings 4:33 are lost in translation; passed over in a facile inclusiveness. The essence of multiculturalism – the philosophical, spiritual, and historical roots of Eastern and Western cultures – have become addenda, supernumerary, non-essentials. The best marriages are those whose partners are orthodox, who have temporarily suspended canon for secular love, but who have never disavowed their faith or cultural values. The result is compromise or at least a respect for mutual beliefs – the divine, divine intervention in human affairs, salvation, redemption, forgiveness. The best cultural admixture is not serial celebration – Hanukkah this year, Christmas the next – but faith. A respect of Torah, the Hebrew Bible the New Testament. And if marriage partners are too secular for such faith-based worship, then an accommodation of cultural difference without capitulation. There is no higher value to Turkish, Persian, or Indian tradition. The best cultural accommodation results from the testing of differing traditions. Rarely an amalgamation and most often a mutual respect. Multiculturalism is not simply a matter of freshening the melting pot but adding distinct, differing, often contradictory moral, ethical, and religious principles and accommodating them. Simply mixing cultures, races, and ethnicities willy-nilly makes no sense at all and serves only to exaggerate differences and promote contentious hostilities. There is no higher value to multiculturalism. Racial and ethnic diversity add nothing per se. Understanding the culture of the streets, high tea, or caste-based marriages is useless in and of itself. Multiculturalism is functional. Partners in a bi-cultural marriage have to duke it out, sort out the relevant from the insignificant and sign a mutual agreement of procedure. Multiculturalism per se is a vacant and empty concept – a tagline, meme, signifier, and badge of progressivism. Taken literally it is damaging and destructive to true integrism, social unity, and progressive democracy.